Kostadinov and Partners Law office was founded in July 2006 by Atanas Kostadinov and Petko Machkarski – attorneys-at-law in Plovdiv Bar Association. 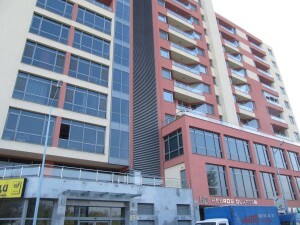 The law office is situated in modern building located conveniently in the centre of Plovdiv, on the south coast of Maritsa river. Specialized in different branches of Commercial law, the firm strives to provide its clients with comprehensive legal services in almost all areas of law. Unconventional thinking of our team provides high quality services to our customers and enables us to find together with the client practical solution best suited to the specific situation. Our main activity is focused in complex legal services to Bulgarian and foreign companies doing business in the Republic of Bulgaria. our clients operate in various sectors of the Bulgarian economy and our team strive to serve theit interestsin all issues of commercial activity. The main objective of the team of Kostadinov & Partners Law office is to keep the interests of the clients and to satisfy their wishes.